The holographic print gives an added bit of sparkle to the Bunting and it can be used as a wall hanging or table sash dressing. Length 3.9M / 12FT, (11 flags on each bunting). The holographic print gives an added bit of sparkle to the banner and it can be used as a wall hanging, table dressing or even worn as a sash. item 1 Eleganza Pink Blue Holographic Foil Birthday Banner Bunting Balloon Age 1 - 80. 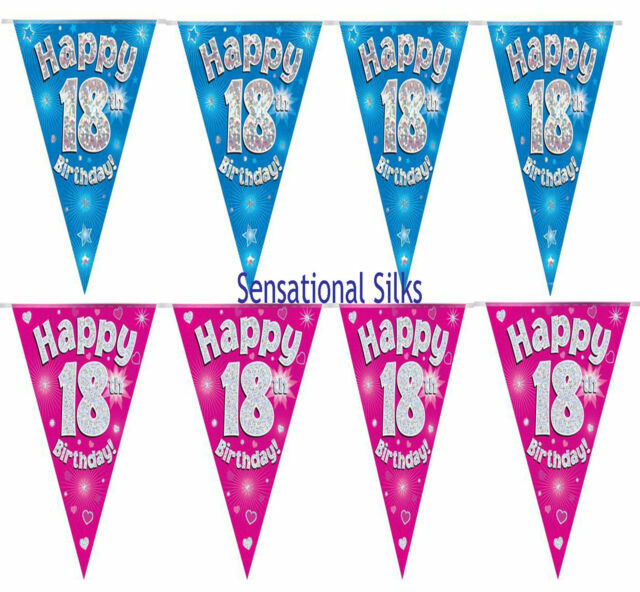 -Eleganza Pink Blue Holographic Foil Birthday Banner Bunting Balloon Age 1 - 80.